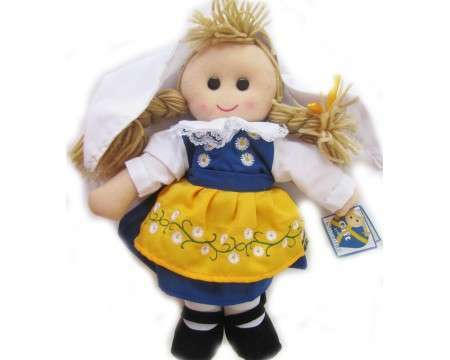 The soft doll is 33 cm (13") tall and wears the Swedish national costume. The dress, shirt and bloomer are removable. The hat is stitched down with three stitches. The blue dress and yellow apron is embroidered. The white shirt has lace edging.